The pop world of the 1980s was shaped by some incredible female artists who revolutionized the music of the era. Your SSA groups will enjoy recreating the songs of this awesome decade in this 8-minute medley. 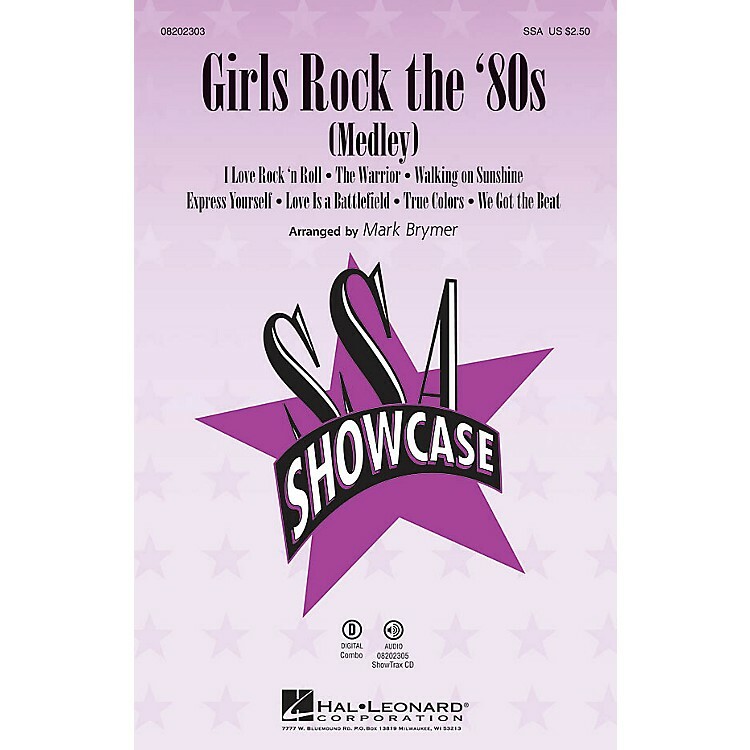 Includes: Express Yourself (Madonna), I Love Rock 'n Roll (Joan Jett & The Blackhearts), Love Is a Battlefield (Pat Benatar), True Colors (Cyndi Lauper), Walking on Sunshine (Katrina and the Waves), The Warrior (Scandal), We Got the Beat (The Go Go's). Available separately: SSA, ShowTrax CD. Combo parts available digitally (tpt 1, tpt 2, tsx, tbn, barsx, syn, gtr, b, dm). Duration: ca. 7:20.